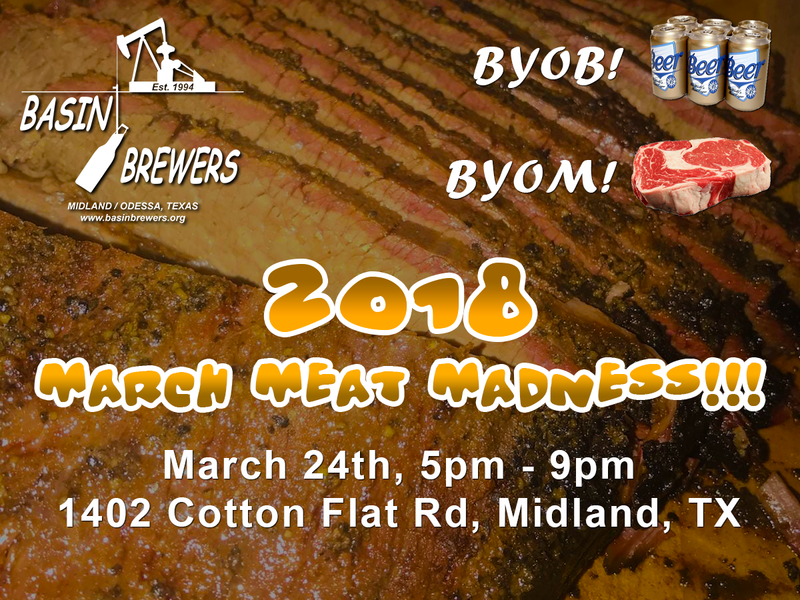 Basin Brewers - A club for homebrewers and craft beer enthusiasts in the Permian Basin: MARCH MEAT MADNESS! Hello Brewers, it's that time of the year again. Time for our annual tribute to meat and beer, March Meat Madness. We supply the heat, you bring the meat! Bring whatever homebrew or good commercial brews you'd like and spend the afternoon getting fat with the rest of us, haha! 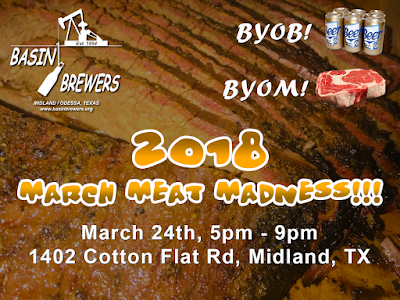 We are having this event at the same location as last year, 1402 Cotton Flat Rd, Midland, TX from 5pm until 9pm on March 24th. We are sorry to say that due to time constraints there will not be a Pale Off this year. Come on by, bring a friend or two, bring some meat and beer, and lets celebrate!